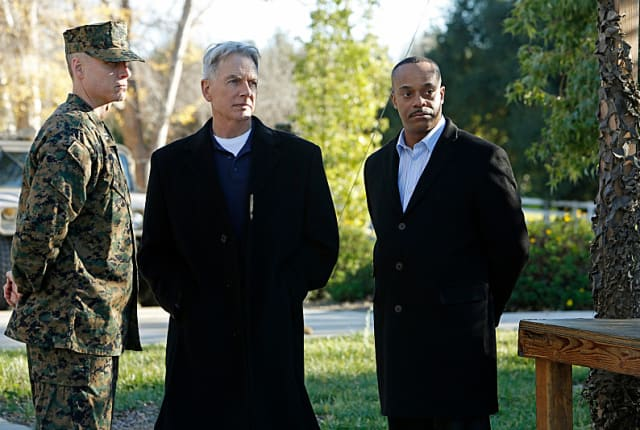 Watch NCIS Season 10 Episode 15 online via TV Fanatic with over 8 options to watch the NCIS S10E15 full episode. Affiliates with free and paid streaming include Amazon, iTunes, Vudu, Netflix, YouTube Purchase, Google Play, CBS All Access, and CBS All Access (Via Amazon Prime). On leave from NCIS while still grieving the loss of his wife and his kids' mother, Director Vance discovers unexpected personal information that causes him to question everything. Ziva: DiNozzo, pull it together. Tony: Kids. This is way above my pay grade. I spent the afternoon in a child care clinic when I almost lost my life. Ziva: Stop stop stop stop. We're doing the director a favor, okay? We just need to be here, we need to be normal. Can you just please do that for a few hours? Tony: Only because you asked nicely. Vance: Do you have a suitcase packed, Jerome? Craig: Always Leon. You know that. Vance: Good. I'll be in touch.